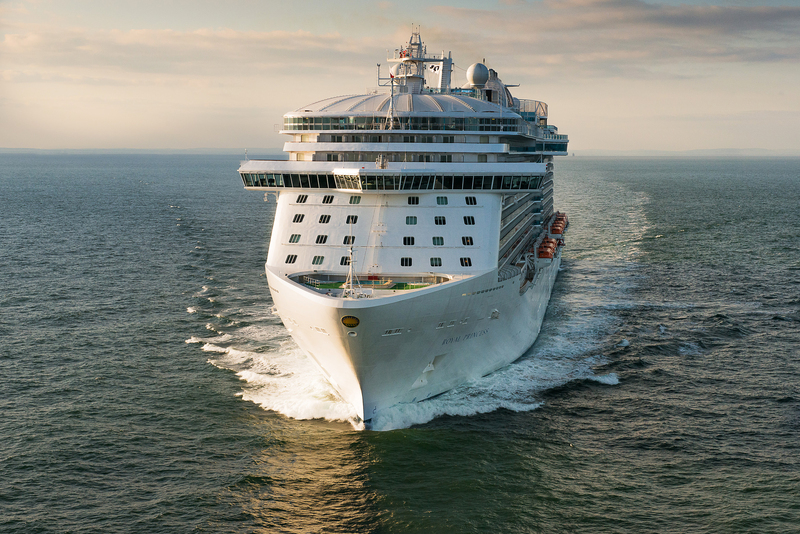 Royal Princess – the ship launched by the Duchess of Cambridge last year – is returning to Southampton next spring and summer, it was announced tonight. The 3,600-passenger ship will return from the Caribbean in May to carry out 11 round-Britain sailings from 12 to 27 nights with calls including Liverpool, Edinburgh and Belfast. She will also do a 12-night tour of the Baltics in June, including visits to Copenhagen, Stockholm and St Petersburg. Caribbean Princess will also spend the summer in Southampton, with sailings to northern Europe and the Med, and offer an ‘all inclusive’ drinks package. Newcomer Regal Princess, joining the fleet this year, will sail twelve 11-night Scandinavia and Russia cruises in 2015 with the option to join in Copenhagen, Warnemunde or St Petersburg. Ocean Princess will return to Dover while Emerald Princess and Island Princess will be based in the Med. Princess is cutting deposits to just £99 a person on all European cruises. Ludlow said: ‘2015 is all about choice, as our Europe-based ships will make 150 departures and visit over 120 destinations. European cruises are booming in popularity and as such we’ve provided something for everyone, including destinations and packages to suit a wide range of tastes and budgets. The 2015 cruises will go on sale on Tuesday, March 11, 2014 at 3pm. The complimentary drinks package and £99 deposit is available on 2015 cruises booked from that time until Monday, June 30, 2014. This entry was posted in News and tagged 2015, Baltics, Belfast, Caribbean, Duchess of Cambridge, Edinburgh, Emerald Princess, Island Princess, Kate Middleton, Liverpool, Ocean Princess, Paul Ludlow, Princess Cruises, regal princess, Royal Princess, Southampton. Bookmark the permalink. When will your favourite celebrity chef be on P&O Cruises’ Britannia? Wifi on ships – love it or hate it? Very interesting esp about drinks package. Do you mean non alcohlic drinks are free? What do you know about alcoholic drinks prices on the Princess cruises? Having only cruised once on the all incl. Azamara. I’m interested in the Black sea area for 2015, Putin permitting!!!! The Package costs $49 per day (+15% gratuity) per person.